How in the world did I end up buying so many cards on ebay with holiday gift giving front and center? Simple: I’m a selfish guy, and I like to shop for myself. These past few months have been not so great overall, which I’ve talked about to some degree on here and in sporadic tweets, so cardboard therapy doesn’t hurt. Plus, almost everything I get is under $5 shipped so I still have money left over for family…if I have to…. 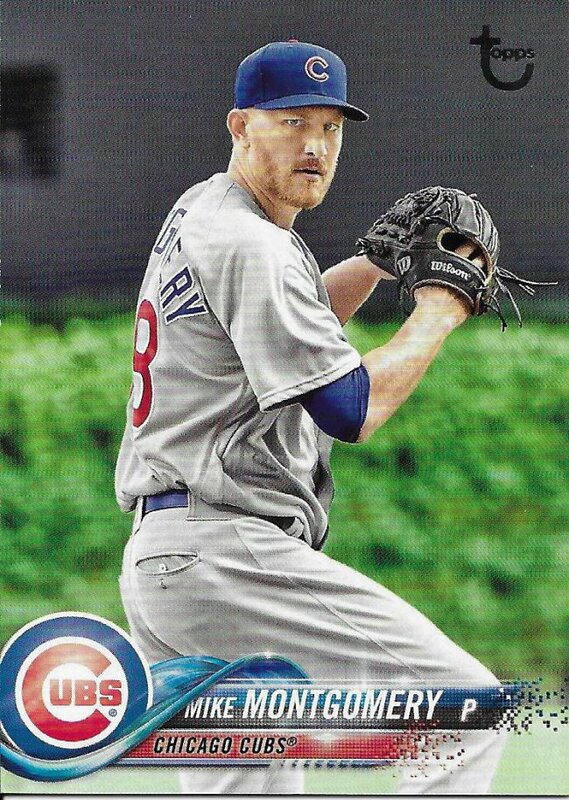 Mike Montgomery doesn’t show up on the blog all that much, because he doesn’t show up in cardboard that much. 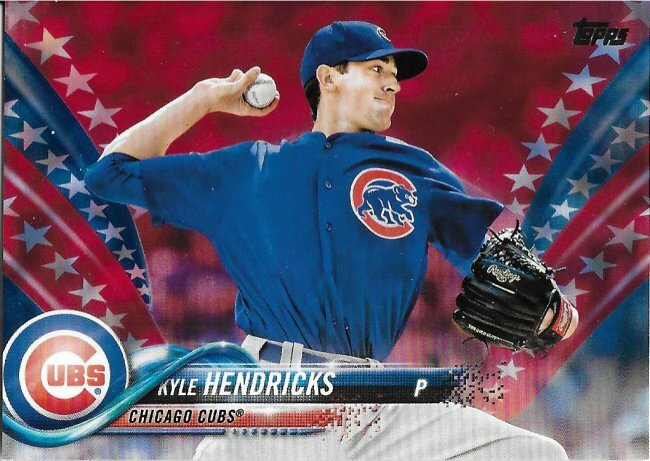 Once a hot prospect, he’s gone without cards in 2013, had one minor league issue in 2015, one Topps Now card in 2016, and only appeared in Heritage in 2017. After this Vintage Stock pick up, I need 7 more 2018 Mike cards, all parallels. Another Vintage Stock. That was a fun home run derby. 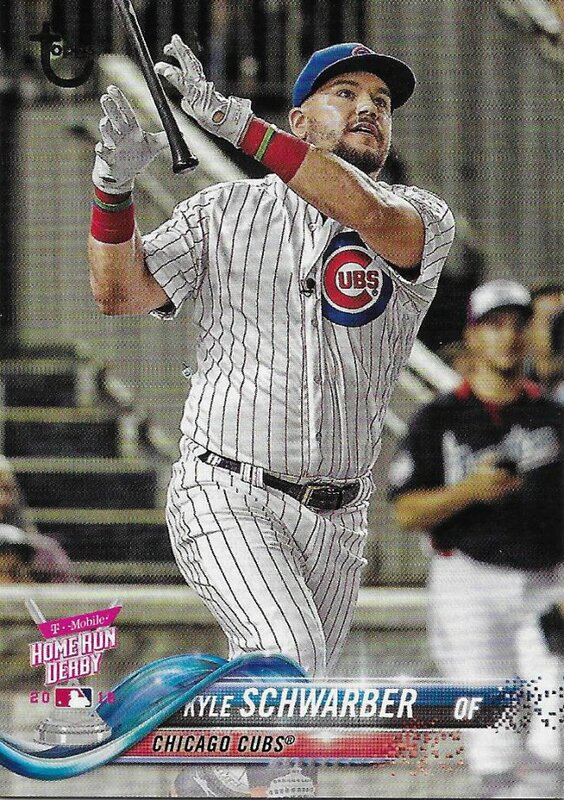 I definitely didn’t think either Cub had a chance and Schwarber pulled off a great come from behind round to make it into the finals – I think this is from the walk-off for that round. Harper did the same comeback thing to Kyle, though, to steal away the championship. 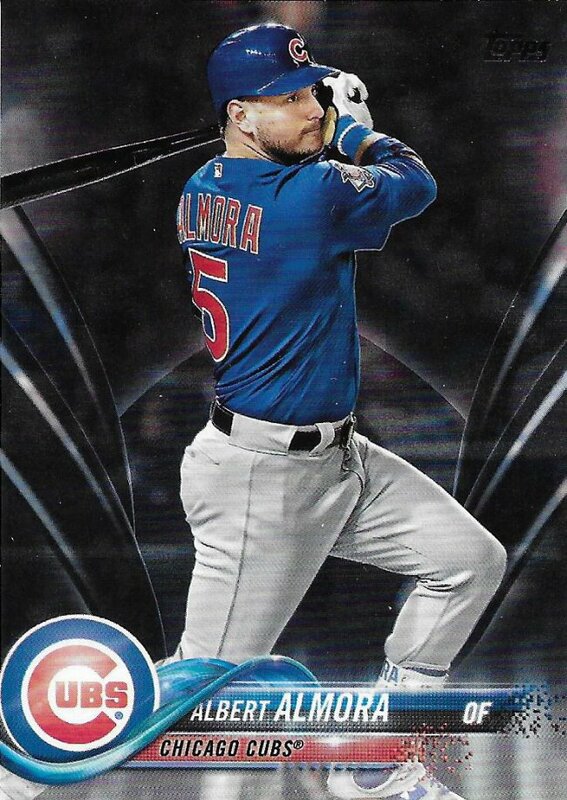 Almora also doesn’t have a lot of cards, but it’s hard to squeeze him in on a team with so many popular players. Hopefully that means his cards will stay cheaper while he puts up better numbers in 2019. In all the years they’ve been releasing Chrome Update Mega Boxes, I have avoided them all. I’ve also avoided Chrome packs for the most part. 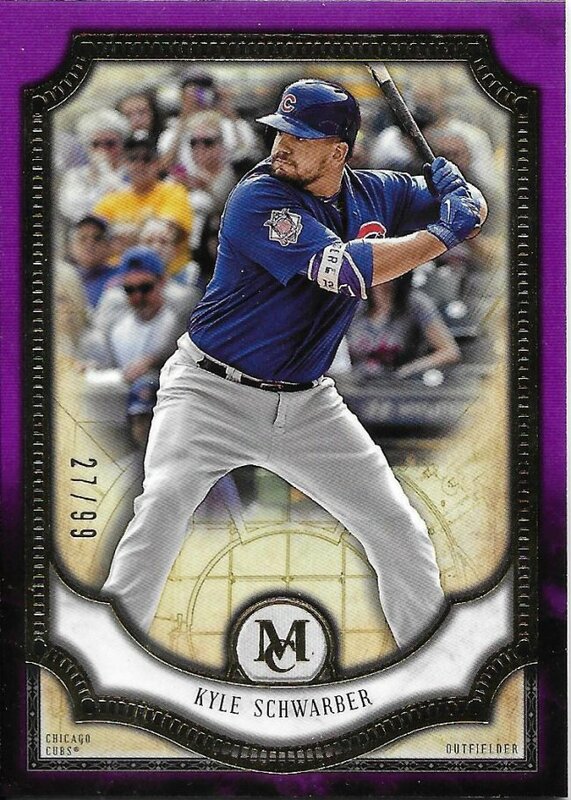 I know odds are long I’m going to get anything, and when you can get the gold refractors for $1 +s/h like this, it makes it easier to stay away. This is my first Independence Day parallel. I guess a lot of people are interested in these. They do look cool from a design perspective, but I wish they were a little flashier or used shinier red and/or blue ink to make it sparkle or glitter. 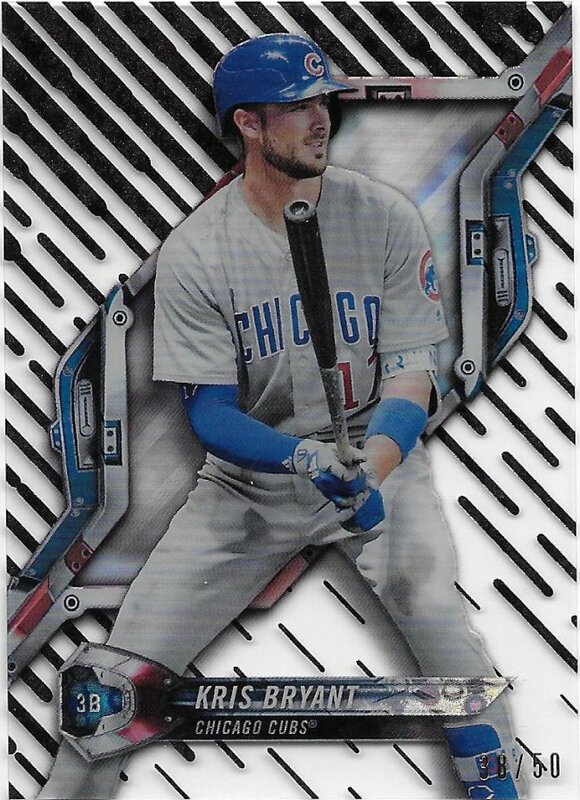 I don’t like the 2018 Donruss design, but I’m okay with it in Optic form for some reason. I hate the endless parallels (this is Carolina Blue /50). Museum cards are nice, but I wonder how much longer some of these high-end sets will offer a base set. No one wants these except me, it seems. There’s not as much supply for Big League parallels as there was for Bunt, but I’m still slowly picking them off. It didn’t scan well, but this is the Orbit Diffractors Black version. You can see the little orbits in the nameplate. 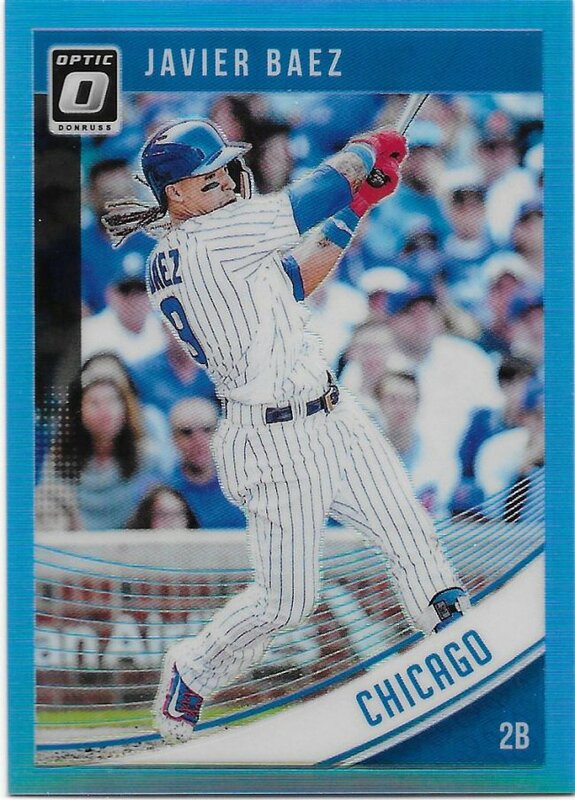 Tek is getting to the point in the reboot where basically everything is “rare.” I need 23 more Tek cards for Bryant, including possibly 8 autographs (don’t have print runs on some of those, so the number may be less) and of those 23, 10 are #/50 or #/99. It’s been a while since I’ve won a Maddux relic. I don’t actively seek them out. This showed up on a different keyword for him and through the minimum down as a “what the hell” bid. After getting it, I learned there are 2 versions of these. 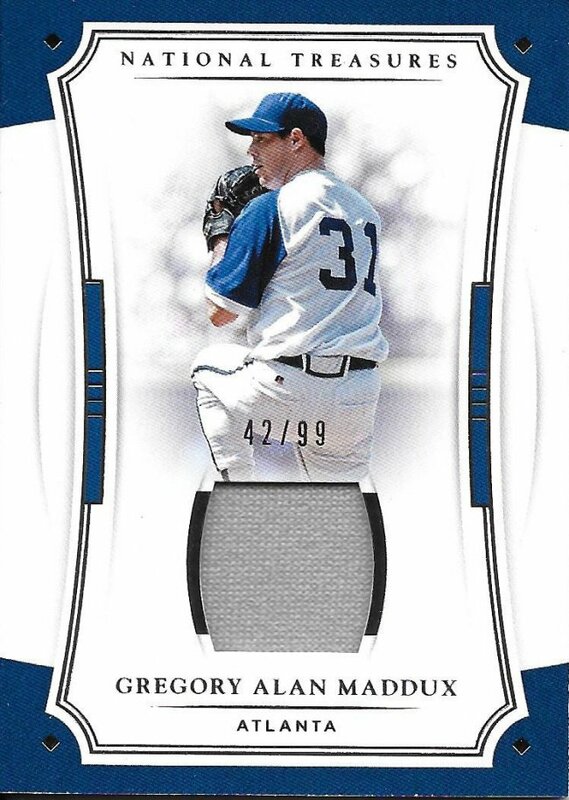 The other says “Greg Maddux” for the name instead of his Donruss-given full name. 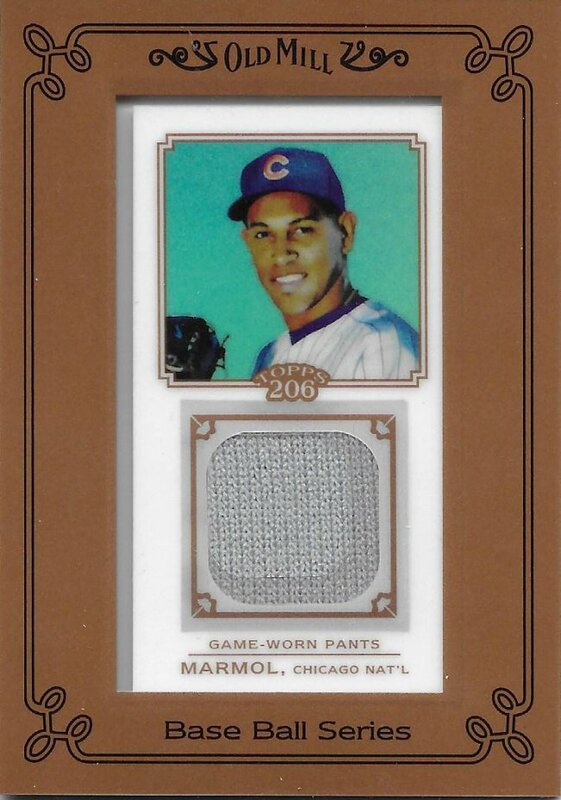 The biggest win of the month goes to this Carlos Marmol relic. 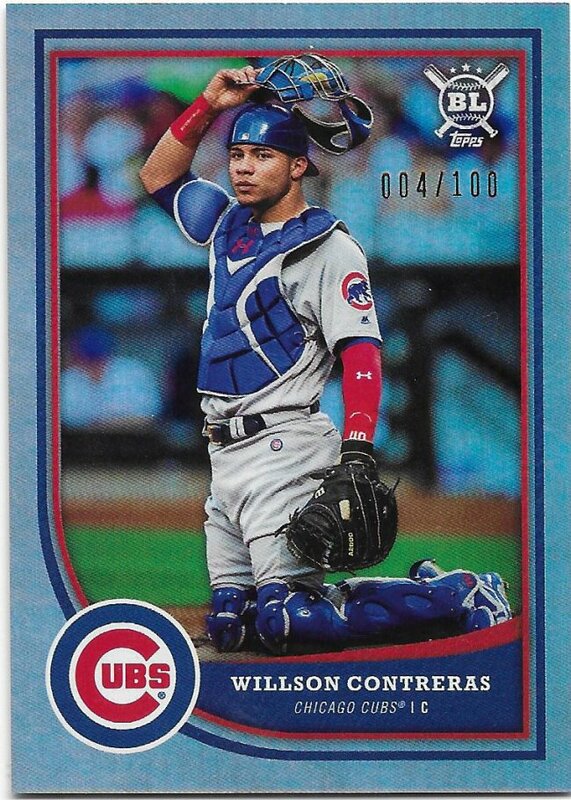 Topps 206 was released in 2010. I have not seen this card go up for sale in that whole time. So, I paid a little bit more for it at $5 plus shipping as a BIN, but I wanted to make sure I got it. I’m patient, but also know when to slightly expand my budget when necessary. If it was over $10 total, I probably would have avoided it. Still, it’s great to have this one. I’m missing the Polar Bear relic, which I also have not seen (but is supposed to be more common). That and the 2008 regular All-Star Stitches are the last two relics I need for my Marmol collection. Maybe in 2019? I really should buy a box (or even a complete set) of Big League. You called it. It had some really good photography. 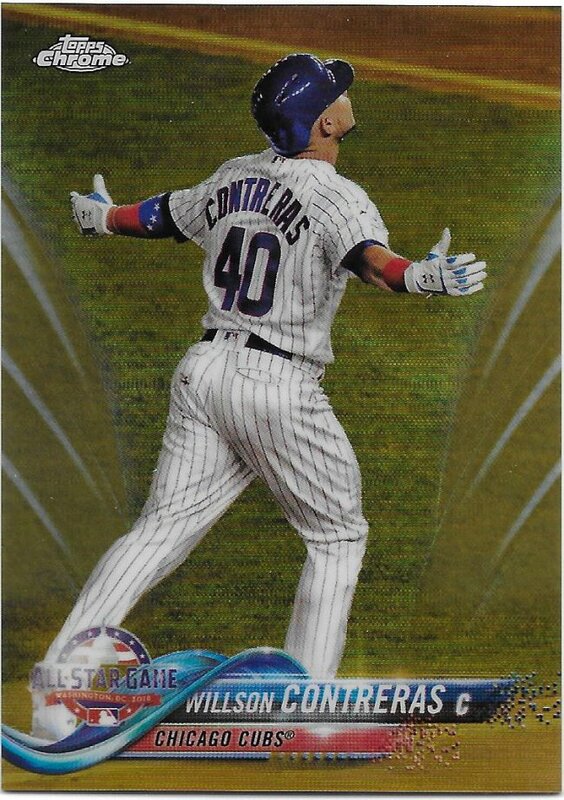 Love that Contreras. If you do buy a box or go for the set, let me know as I have some duplicates I can trade!